NEW DELHI (AP) — The first time American John Allen Chau visited the isolated island in the seas between India and Southeast Asia, he came bearing gifts that included a football and fish. That night, he wrote about his adventures and left his notes with the fishermen. He returned to North Sentinel Island the next day, on Nov. 16. 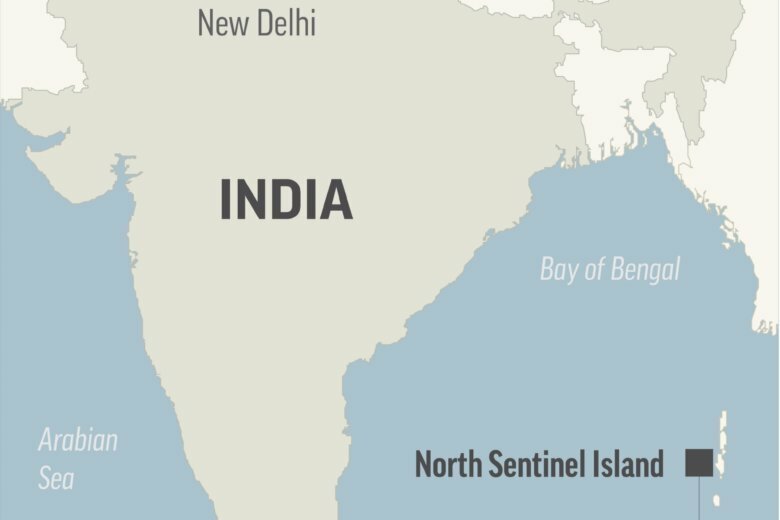 Dependera Pathak, director-general of police on India’s Andaman and Nicobar Islands, said Wednesday that the seven people have been arrested for helping the American reach North Sentinel Island, including five fishermen, a friend of Chau’s and a local tourist guide. Visits to the island are forbidden by the government, and officials were working with anthropologists to find a way to recover the body. With help from a friend, Chau hired fishermen for $325 to take him there on a boat, which also towed the kayak Chau used to reach the island the first time, Pathak said. After the fishermen realized Chau had been killed, they left for Port Blair, the capital of the Andaman and Nicobar Islands, where they broke the news to Chau’s friend, who in turn notified his family, Pathak said. Police surveyed the island by air Tuesday, and a team of police and forest department officials used a coast guard boat to travel there Wednesday and another trip was planned Thursday. Officials said authorities were exploring their options, since they cannot go directly to the restricted area and confront the tribespeople. “We have to see what is possible, taking utmost care of the sensitivity of the group and the legal requirements,” said Pathak. India has a very hands-off approach to the island’s people. Tribespeople killed two Indian fishermen in 2006 when their boat broke loose and drifted onto the shore, but Indian media reports say officials did not investigate or prosecute anyone in the deaths. Associated Press writers Gene Johnson and Phuong Le in Seattle, and Gillian Flaccus in Portland, Oregon, contributed to this report.